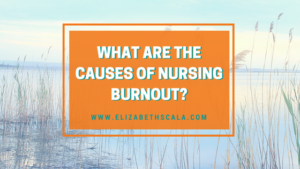 Causes of Nursing Burnout: What Are They? Too much stress on the job and not enough recharge off the job caused a negative energy balance. This situation is the very definition of burnout. Since then, I have learned the sources of stress and the blockages to recharge are much more complicated than simple third grade math. Otherwise, why would one-third of our best and brightest be stuck in burnout every day? It is a conundrum for sure. 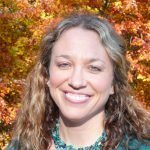 In my work with over-stressed nurses, I have noticed several distinct sources of energy drain that are, in fact, the five main causes of nursing burnout. Some of them are indeed stress-related. Others are the result of blind spots instilled by the conditioning (or, you could say, brainwashing) process of our nursing education. Let’s go through one of them here today. And then, in subsequent posts in this series, I will be sure to cover each one of the five that are listed in the Stop Nurse Burnout book. By any measure, healthcare is stressful. Apart from law enforcement and active-duty military (two careers that also have very high burnout rates), practicing nursing may be the most stressful career you could choose. You have ultimate responsibility and little control over the outcome, but that is not all. The following story will illustrate a little-appreciated stress of being a nurse that all of us notice in our training when we first start seeing live patients. It doesn’t take long, though, for this source of stress to fall into a deep blind spot in our awareness. Talking about this stress to nurses is very much like talking to a fish about the water in their bowl. The fish is completely unaware of the water they swim in. Everyone who is not in nursing sees this built-in stress of working as a nurse immediately. It becomes invisible for nurses early in our education because it is part of the fabric of every single patient encounter. Let me tell you a little story to illustrate this point. I have a friend who is a party planner. She owns a business that helps people create, plan, and pull off the most amazing events. When you go to her office, the conversation focuses on dinner menus, color palettes, and fabulous locations. That is how my friend makes a living. Every time I see her, she is glowing. One afternoon, I asked her what it’s like to have this for a job. Think about that for a second. 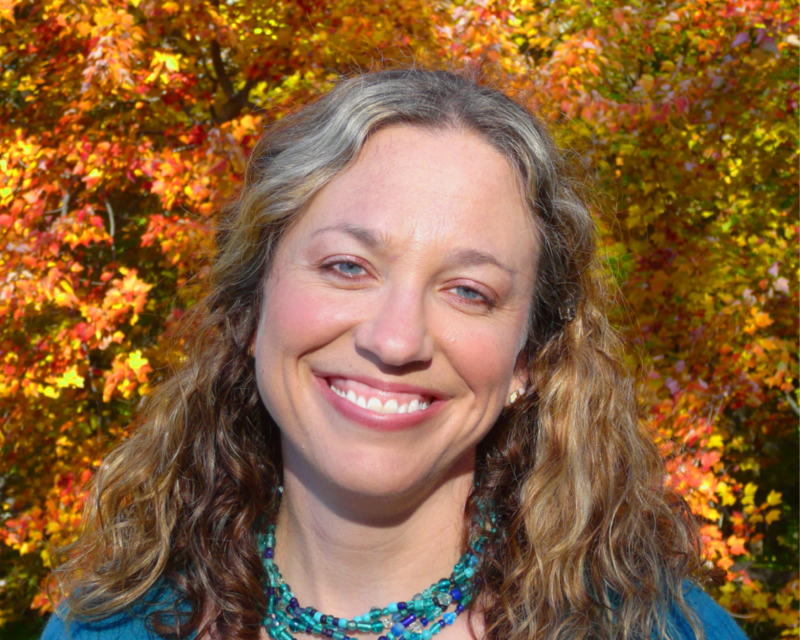 How is being a nurse different than owning a party planning business—or almost any other job? No one wants to come and see you . . . ever. They don’t expect to have a good time during their visit to the clinic under most circumstances. Even a routine physical is filled with trepidation. The patient is not sure what they might find out. Even if the person is not the patient and is simply a family member visiting in the hospital or accompanying the patient on a clinic visit, you’re the face of the medical profession to them. You personify the health issues facing their loved ones. Our “clients” are sick, hurting, injured, scared, suffering and sometimes in the very act of dying. Every visit is veiled by a mist of these negative emotions. You can’t escape this reality. It quickly fades from our awareness. It never actually goes away. For all the reasons mentioned above—and many more you will learn in the pages that follow—the modern environment of healthcare is stressful. Even if I could magically shift you from room to room in a Star Trek-like transporter beam and relieve you of all documentation requirements (wouldn’t that be nice! ), allowing you the classic nurse’s dream experience of “just caring for patients” – even that day would leave you drained. You can’t care for patients and somehow avoid putting energy into your day. No one can make it through nursing school and out onto the floor without being traumatized by horrific events along the way. We all have stories we have never told anyone. We have all seen things happen we wish we hadn’t. It goes with the territory. Each of us has one or more traumatic experiences from our past that is capable of blowing a “normal” day to pieces when circumstances align themselves to remind us of the original incident. Each of us also knows that every patient could be the next medication error or call to the rapid response team. This work is stressful in so many ways. From the standpoint of your energy accounts, you cannot work as a nurse without expending physical, emotional, and spiritual energy. You will come home with less energy than when you arrived at the beginning of your shift. The one exception is if you had a major ideal patient encounter that day and created your own triple whammy energy deposit. For most nurses, these types of encounters are rare and their career is not designed to deliver them with any frequency. Let’s hear from you! What other causes of nursing burnout could you come up with? And be sure to check back for the other four causes!! 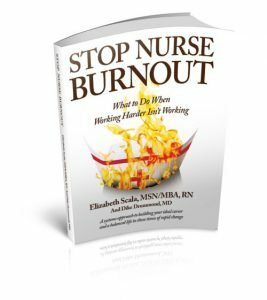 Or, cannot wait for the next post to come out… Check out the Stop Nurse Burnout book for all five causes of nursing burnout. Thank you for explaining burnout in understandable terms. Thank for addressing the real issue of burnout that we as nurses face.